The Pope, as the Vicar of Christ on earth, in order to ensure that each country has a tangible sign of his care for the Lord's entire Flock, appoints an Apostolic Nuncio (Ambassador of the Holy See) as his personal and official representative both to the Church in the United States and to its Government. He did the Military Service from July 1965, to October 1966. He was ordained a priest on April 5, 1970, in Saint-Malo, France and incardinated in the Archdiocese of Rennes. He was Parochial Vicar of the St. Peter and St. Paul Parish in Colombes, Diocese of Nanterre, France (1970-1973). 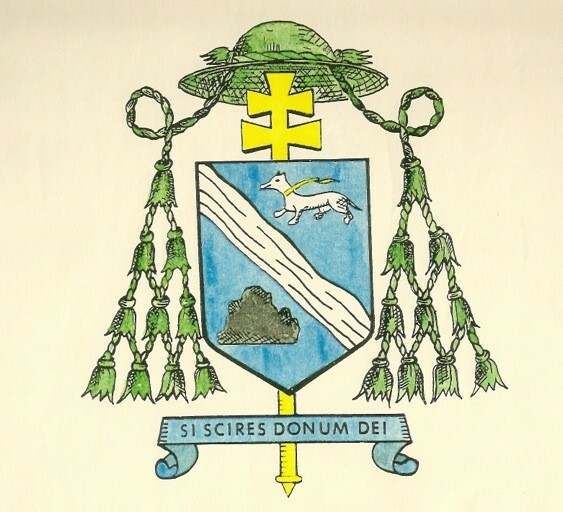 Archbishop Christophe Pierre was appointed Apostolic Nuncio to Haiti, on July 12, 1995, where he served until 1999. 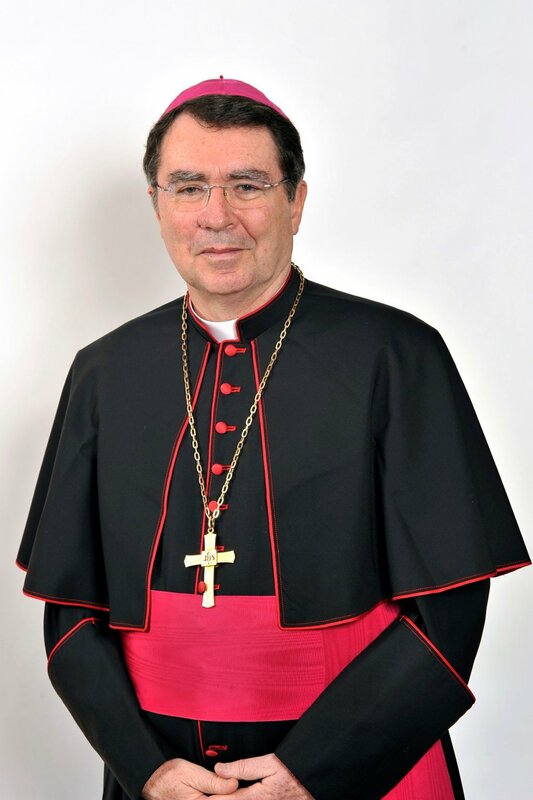 He has been the Apostolic Nuncio to Uganda (1999-2007) and then, the Apostolic Nuncio to Mexico (2007-2016). He was appointed as Apostolic Nuncio of the United States of America by His Holiness, Pope Francis on April 12, 2016. The white animal is an ermine "passant argent gorged or and lampassed gules" as represented in the Coat of Arms of Saint-Malo, the Archbishop’s home town. The legend says that the ermine would rather die than to have her white fur stained. The rock represents the granite rocks of Brittany. It is strong enough to resist the constant assaults of the sea. It is therefore a symbol of solidity. The surname of the Archbishop, "Pierre", is the French translation of rock or stone. The Archbishop has also received the mission to represent the Successor of the first Pope, named by Jesus as Cephas (rock or stone).